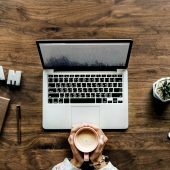 A Quick Guide to Making Tax Digital & Cloud Bookkeeping - Hill Lillis & Co.
Making Tax Digital - how and when will it affect you? Over the next 3 years there will be significant changes to the way you prepare accounts and file information with HMRC, including providing quarterly digital updates. 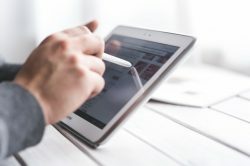 Keeping your financial records will become increasingly digital and most businesses will need to use software or apps to keep business records. That's why you need to be prepared for the digital switch with cloud bookkeeping software that is compatible with HMRC. 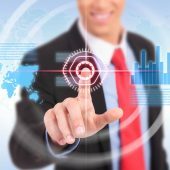 What is "Making Tax Digital?" This means you could be required to keep track of your tax affairs digitally using MTD compatible software, and to update HMRC at least quarterly via your digital tax account. Eventually this will abolish the annual tax return. This will be the law and there will be high penalties for non-compliance. You will need to ensure that your accounting records are “Digital” and, starting from April 2019, keep your VAT accounting records digitally (no manual books or spreadsheets). Hill Lillis & Co. are currently in the process of contacting clients in this category. You will need to ensure that your accounting records are “Digital” and starting from 2020, file quarterly information direct to HMRC. Digital excludes manual books and records and spreadsheets. 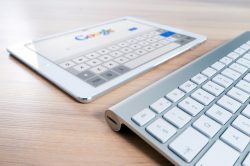 If your turnover is less than £10,000, you are a charity, you are a community amateur sports clubs or fit other exemption criteria, you do not need to engage digitally. Contact us to find out if you are exempt. To get ahead of the curve, many of our clients are already making the change to Digital Accounting records and what we’ve found is that Cloud-based accounting package QuickBooks is proving to be very popular. 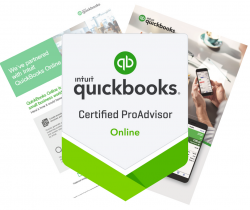 Therefore, Hill Lillis has trained in using QuickBooks Online, acquiring ProAdvisor status, so we are able to offer a 50% discount to our clients for the first six months of use, as well as training and ongoing support for you. With QuickBooks Online, you can work in real-time with your accountant with the ability to share up-to-date accounts at a click of a button. Capture receipts and payments from your bank account directly. Get things done on the go - use your smartphone to photograph expenses and have them filed straight into your accounts. See your results 24/7 via an app on your phone. Showcase your business with branded quotes and sales invoices. Pay your employees and manage auto-enrolement. Comply with new and existing GDPR rules on data protection. Shred and recycle all the paper you currently keep on file. Powerful customised reports, which provide key information to help you run your business. 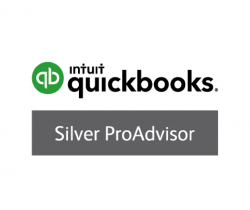 QuickBooks is the world's number one online accounting software with 1.5+ million QuickBooks online subscribers. "Before QuickBooks I dreaded the accounting side of my business. Now I can get everything done in minutes and spend time doing what I love." - Ash Read, entrepreneur and QuickBooks Online user. How are you affected by Making Tax Digital? 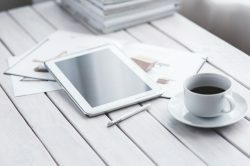 If your business is comfortable with technology and you regularly file your payroll, Automatic Enrolment and VAT submission online then you may simply want a discussion on your obligations and procedures to ensure you are compliant. 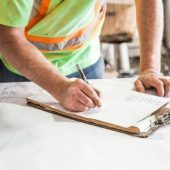 Small businesses and landlords with residential properties may require more support, or it may be best for us to deal with all of the MTD submissions for you. Whatever your support need, or if you simply want to discuss your entry date or Cloud bookkeeping, then please speak to us. If you have any questions about how your business will be affected by MTD, don't hesitate to contact us for more information.